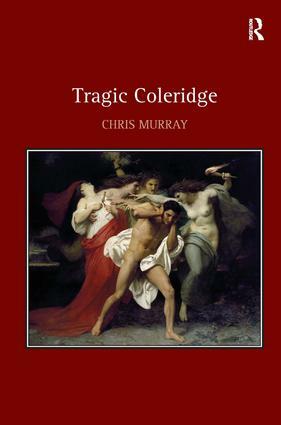 Contents: Introduction: Romantic tragedy and tragic Romanticism; Coleridge’s tragic influences; Hamartia and suffering in the poetical works; The catastrophes of real life; The tragic ’impulse’: fragments and Coleridge’s forms of incompletion; The Lear vocation: Coleridge and Romantic theatre; The tragic sage; Failed sacrifices and the un-tragic Coleridge: Conclusion: ’The sage, the poet, lives for all mankind’, Bibliography, Index. Chris Murray is an IAS Junior Research Fellow in the Department of English Studies at Durham University. His research centres on Romanticism, and explores the dialogues British Romantic authors create with Classical literature, Irish studies, and Orientalism.